Thank you Dale, it's true, every day is a new beginning, and it is only as happy as we make it. 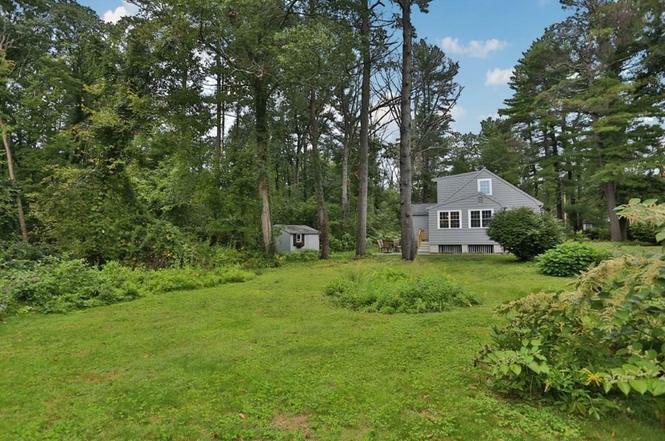 Today I am excited to get back on track on WW, but mostly I am happy for my "kids" who put an offer which was accepted, for a beautiful house in Bedford, 15 miles away from Boston. Now it has to pass inspection and get approved by the bank, and they can soon call it their own. I am happy for them, because that is what they want; the house sits on 0.6 acres of beautiful green land, and I can see myself spending some alone time in the grassy area on the side of the house. Daniela-3-11-2016 What a lovely looking home! jonescarp.aka.dale.Jan_2007 Great sentiment...every day IS new and waiting to be discovered. But I'll look at that as being all the more precious when we see them and get to spend some time with them. It looks beautiful Daniela! My baby, my youngest and her family, are far, far away in California! I get to see them, Dec. 27th tho, so I'm excited!! Thank you Christine, our kids are also coming home for Christmas, we will be spending 4-5 days with them. it is definitely a contemplative ride. There's no better time for contemplation than a still quiet a.m. sunrise. that's when I do my best contemplating. Sunset works too. BEAUTIFUL YOU AND BLOG A FRESH BREATH TO ME! Thanks Dale-love you!